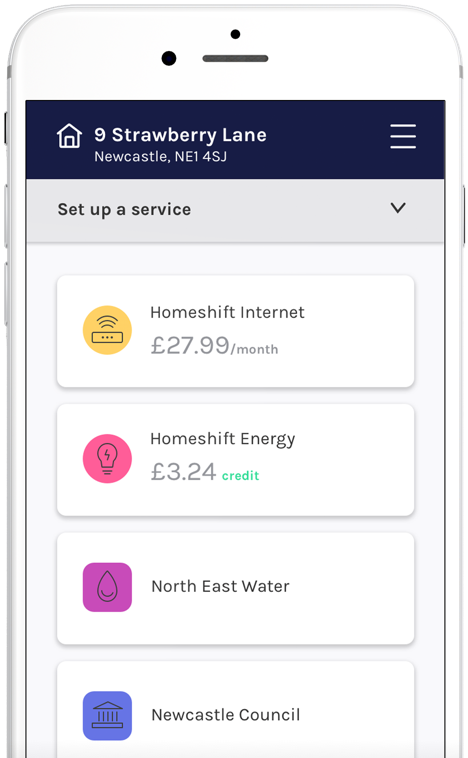 Thousands of households use Homeshift to set up and manage their energy, internet, council tax, and water bills. It’s everything in one place for a guaranteed fair price. 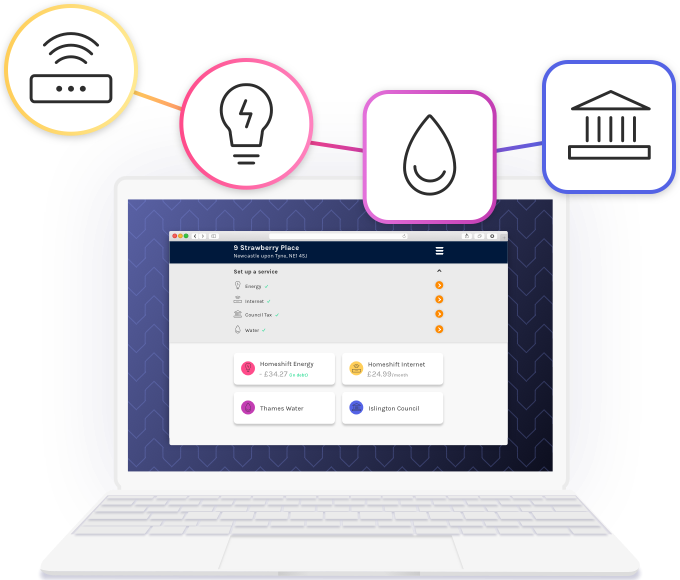 We’ve created our own Internet and Energy plans. By selling both of these services from the same place, we're able to keep our costs and plan prices low and provide you with one online dashboard to better manage all of your home bills. 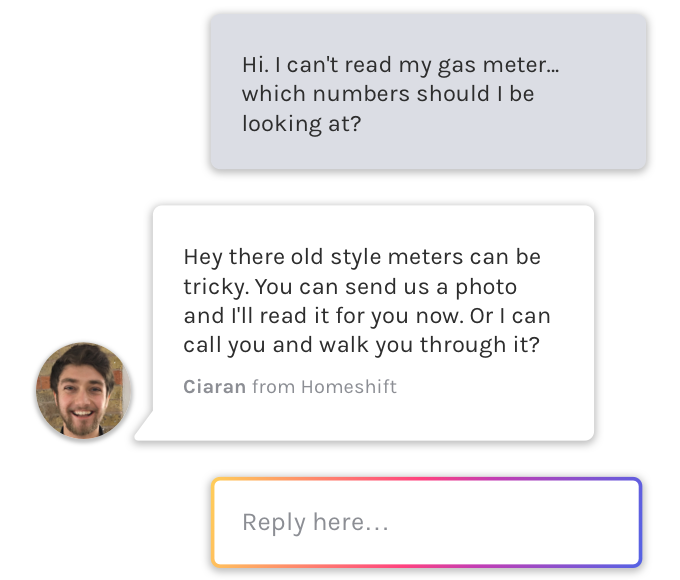 Homeshift is built on technology which means we have lower running costs than traditional suppliers. We don’t do introductory offers or price hikes. Instead we constantly source cheaper energy and internet and pass savings onto you year after year. Our experts are online and ready to live chat whenever you need it. You won’t have to hold on the phone for hours to reach us. If your issue is too complicated to solve via chat, we'll give you a call. We flex to meet your needs. 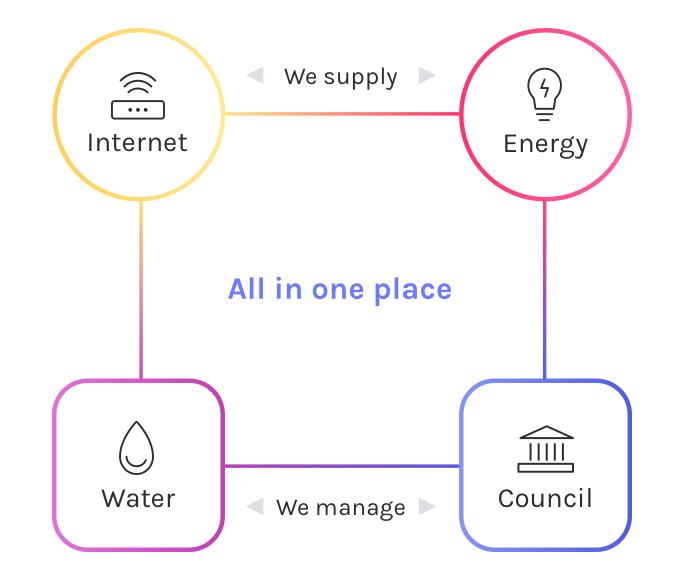 As well as supplying our own Energy and Internet we also help you set up, and pay for your Water and Council Tax bills. That means you can manage all your home bills from one place online, giving you better visibility of your spending. No phone calls, really easy to use and you can add other bills to it so everything is in the same place! I made a mistake and they took extra effort to make it right 👍 Perfect service. Recommend it to everybody! 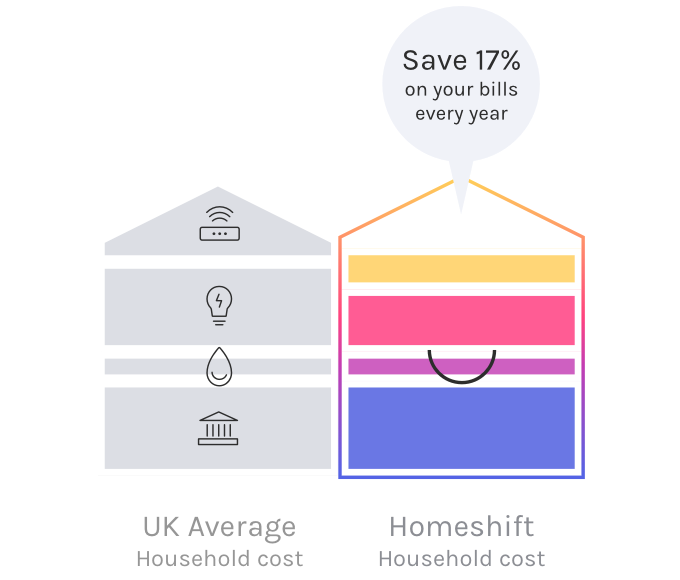 Homeshift is the easiest way to set up and manage all your home bills from one place online for a fair price.